The EYE OF THE EAGLE skill is available as part of the story early on. PERCEPTION plants allow the sensing of animals and natural resources throughout the environment. 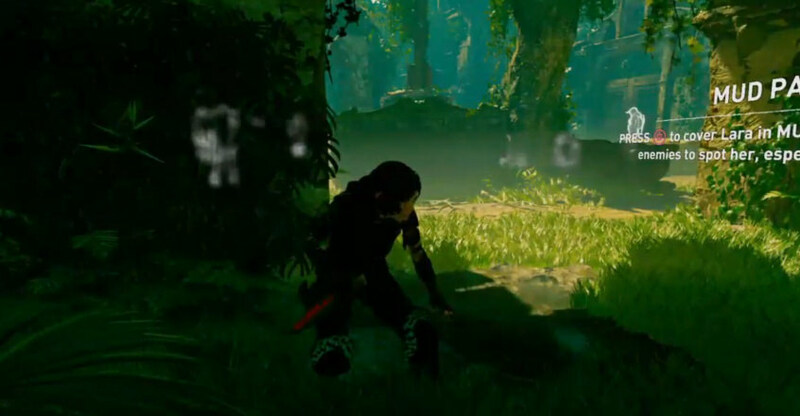 This screencap of this particular walkthrough video shows the glowing enemies. The player is playing On Deadly Obsession difficulty on PS4. However on my 1st run (Rite of Passage Difficulty), with Survival Instinct options: Disabled, the PERCEPTION Skill didn't work. On my 2nd run (Deadly Obsession Difficultly), Survival Instinct is greyed out, the PERCEPTION Skill didn't work. As I stumbled upon the well documented Collectible glitch, I'm doing a 3rd run (One with the Jungle Difficulty) and I've just obtained the EYE OF THE EAGLE skill AGAIN, and once again the PERCEPTION Skill didn't work. I realise that bugs exist in all games but we aren't your test players, we shouldn't have to stumble on the numerous issues that have been reported on since the game's release. It's unprofessional and shows lack of care towards your consumers - us the gamers, us the fans. We matter, not the reviewers or the elite who get to play your games behind closed doors etc. 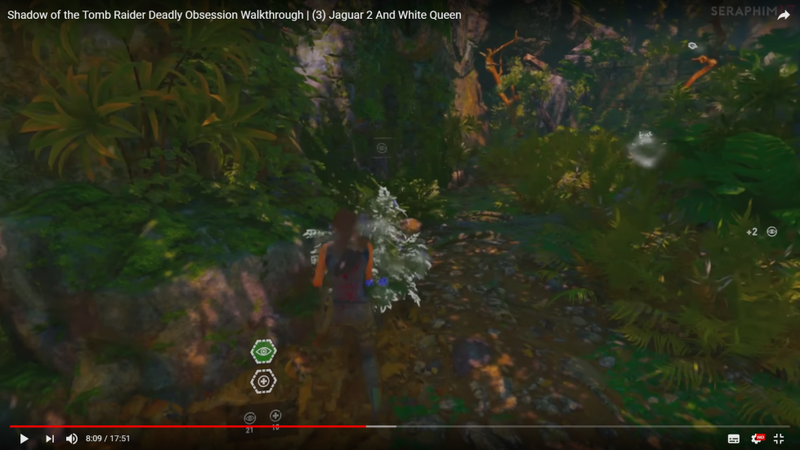 We want to enjoy your game that you have worked on, but when things like a Progression blocking bug confronts me during my Deadly Obsession run, or the above Skill not working as intended, or the 'full inventory' nag, or the collection progression glitching out, or entering a dark area and Lara refuses to turn the flashlight, and the MANY other issues people have reported, then I start to lose respect for you as a company. You release a game that is riddled with annoyances, and things that aren't working properly that sour my enjoyment of the game, and probably other gamers too. I had hoped Patch 1.04 would have fixed a lot of things that have been present since release - but no. It shows that QA failed somewhere. Last edited by megabug7; 29th Sep 2018 at 16:48. Any members of the console development team checking these forums? With Rise of Tomb Raider, Meagan was hovering around these boards and responding. Last edited by megabug7; 5th Oct 2018 at 18:19.